So you want to be nurse? Great! We will always need great nurses, and if you’ve ever been in the hospital, you know the power of a friendly, kind, smart nurse who is excited about his or her career. Nurses are compassionate people who do much to ease the suffering and fear of others. It’s a fabulous career! There are two types of four year nursing programs: direct entry and non-direct entry. In both of these programs students work toward the four year degree of a Bachelor of Science in Nursing, or BSN. More and more nursing programs are moving toward direct entry, where students are accepted right out of high school. Some colleges offer non-direct entry where students come to the college and take pre-requisite classes and then apply to the Nursing school. Some colleges also offer both means of entry, so be sure to check your options. One thing to be aware of as you research programs is that “pre-nursing” programs are defined by colleges in many different ways, so be sure to read carefully what each college means by pre-nursing. At some colleges this might be a sort of “conditional” admission to the nursing program, where if you complete all requirements in good standing, then you can apply to the School of Nursing. Entry into Nursing School is based on grades, test scores, work and volunteer experience, recommendation letters, essays, and often an interview. It is also important to have taken any required pre-requisite classes, such as Anatomy and Physiology. Be very aware that admission to nursing programs is quite competitive, so your GPA needs to be as high as possible! And get valuable experience, because that will bolster your applications and your interviews. 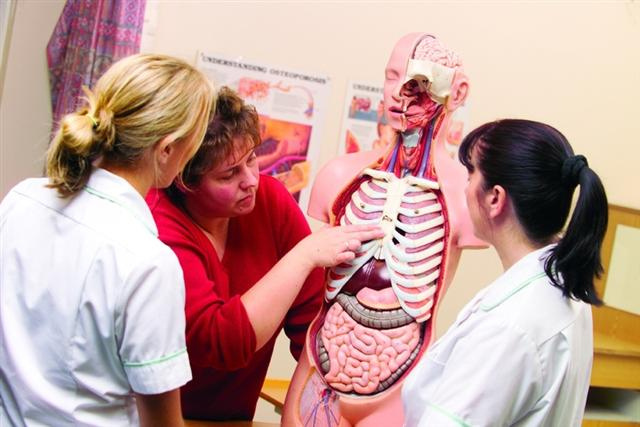 Many Nursing students go on to get a Master of Science in Nursing, or MSN. Some colleges have dual enrollment BSN/MSN programs, too, like UPenn, so this is another option for you. There are many ways to become a nurse, though the 4 year BSN degree will offer you the most options. LPN or LVN: Licensed Practical Nurse or Licensed Vocational Nurse. This option is done at technical college and takes about a year. Most LPN’s these days will need to go on to get a BSN. ADN (an RN): this is a two year option where you earn the Associate’s Degree in Nursing and become a basic Registered Nurse. Most ADN’s will go on to become BSN’s. BSN: this is the Bachelor of Science in Nursing, which is a four year degree offering the best pay and the most job opportunities. You must have a BSN to pursue the MSN. MSN: The Master of Science in Nursing is the highest degree for nurses, so this will offer the most pay and the most job opportunities. Best of luck to you as you embark on your journey toward this noble profession! Yay, college!